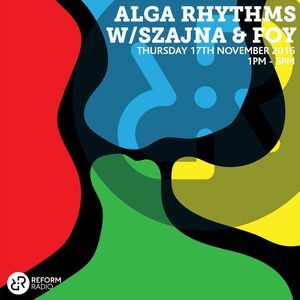 Alga-Rhythms is a collaboration between Szajna & fellow producer FOY. 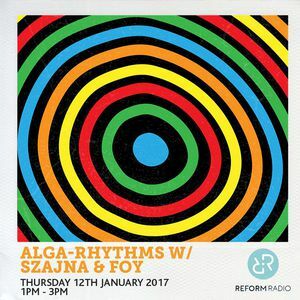 After first collaborating on a selection of edits for ONO records’ Summer mixtape in 2016 - described by Piccadilly Records as ‘smooth grooves and walking bass-licks, glitched harmonic vocals stutter, filtering out before slamming into full-on poolside euphoria’ - and playing a few live sampler sets together, they began a longstanding collaboration, working on original productions influenced by broken beat, hip hop, jazz-funk and neo-soul. 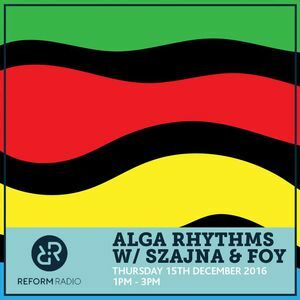 They host a monthly show on Reform Radio and DJ regularly, both jointly and separately, across Manchester. 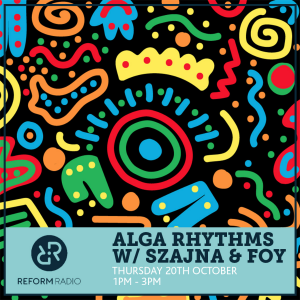 Their tracks have gained support from Shy One (BBZ/NTS/Touching Bass), Tom Boogizm (NTS/ONO/Pariahs), Bane (Eastern Bloc), Yadava (So Flute/Banoffee Pies) and Cutwerk (Heads Up!/Reform Radio).